Hello skincare lovers! 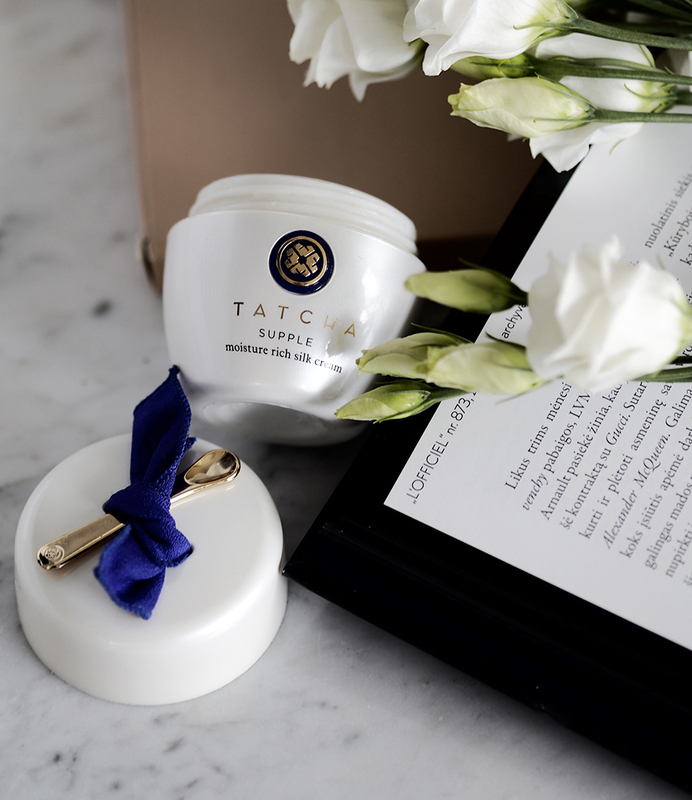 To be honest, I don't even remember the last time I spoke about my favorite skincare products here on the blog, however I've thought it's the right time! 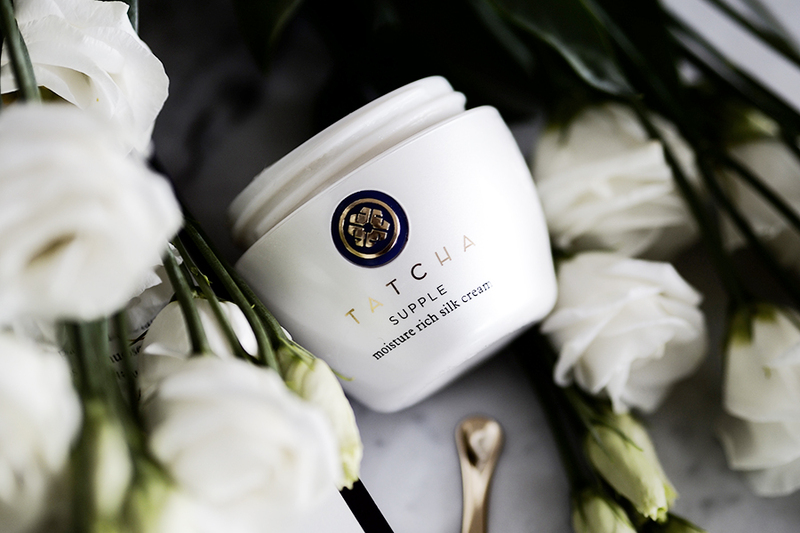 One of my currently favorite luxury face creams for moisture is this silky one from TATCHA (shop here). I've been using it for a few weeks now and I've been loving the texture and the glowy effect so far. It's quite scented, but it's definitely not one of those annoying scents. And the package is super pretty too. 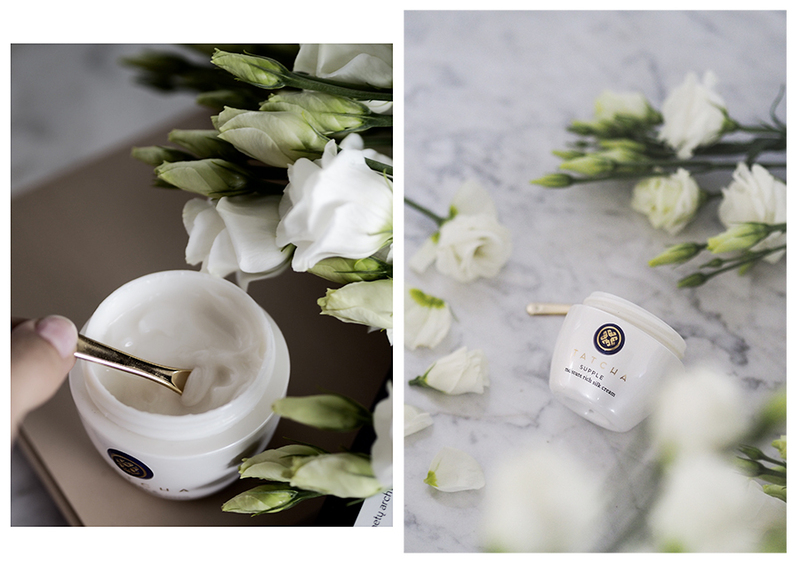 You ask, why it's different from any other face cream? It has a new complete liquid silk protein, which parallels the amino acid structure of human skin, forms a whisper light, moisture-binding veil on the skin. It also imparts a youthful radiance and gives the look of firmer skin!